A few years ago, I was on the hunt for some ultimate foliage photographs during the peak season here in New England. 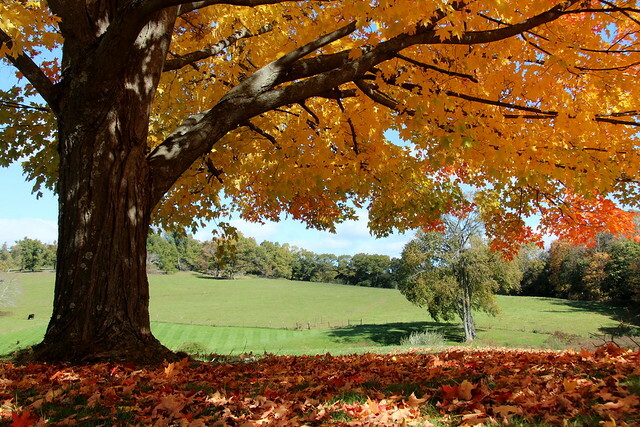 I spotted this beautiful maple tree at the Gibbet Hill Grill in Groton, Massachusetts. I had never been to this restaurant as we are not really steak people, but I had heard tremendous reviews from anyone who had been there (4.5 on Yelp and Trip Advisor). I quickly framed this foliage shot and have since enlarged it for our living room. In the lower left corner of this particular photo, I noticed some black cows in the distance. Around the barn, there were a ton of cows grazing. I had never seen so many black cows in one place. 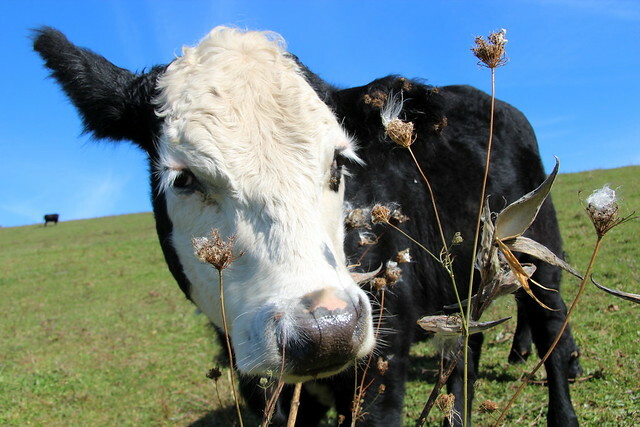 The cows at Gibbet Hill have a beautiful landscape to roam upon! Getting a little closer, you could see they were huge majestic creatures. The cows at Gibbet Hill are so healthy and happy! Even closer, they had quite handsome faces. The cows at Gibbet Hill are truly beautiful! The cowhand joined up with me and said I could pet this one with a white face as it was very friendly. The cows at Gibbet Hill have personality! What a life it must be to live as a cow on Gibbet Hill! 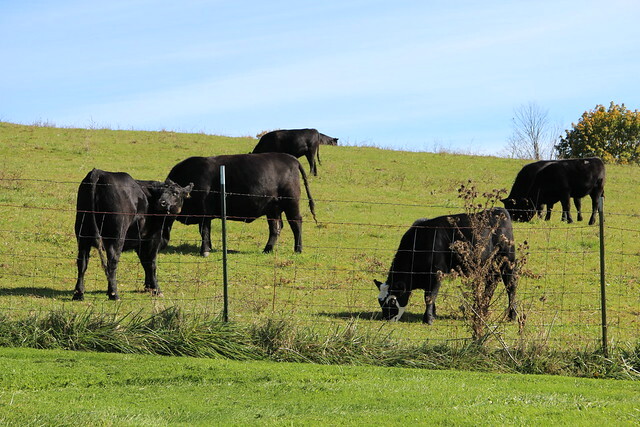 As I drove away, it finally dawned on me that the cows were black because they were Black Angus cows. And that they were there to make the steaks for the restaurant! That's why there were black cows on the sign! OMG! Clearly I had been disconnected from the reality of the food chain right in front of my eyes. After this realization and having become attached to the cows in my photographs, I swore that I would never dine there. Like any other steak restaurant would be different? I guess if you believe in local grown veggies, it could apply to meats as well. 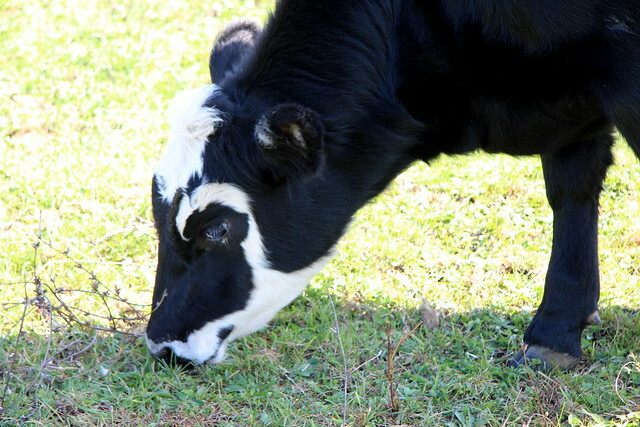 But to dine in a restaurant where you can see your meal grazing outside? Lobsters and fish are one thing, but look at those eyes! This was back in the fall of 2012. 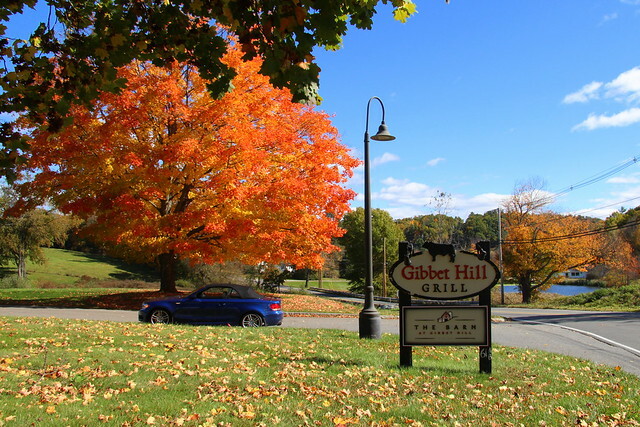 This year, for my birthday in 2015, we didn't want to travel into Boston on a cold, sleeting night, so we decided to stay local and headed to Gibbet Hill Grill for the first time. I was still a little apprehensive about eating one of these majestic creatures, but there aren't a lot of good restaurants near where I live. Besides, there was no chance of seeing the cows outside that night. I ordered the Filet Mignon with blue cheese and caramelized onions. I have to admit, it was the best steak that I have ever had in my life! So tender and full of flavor, it was simply divine. Adam and Doug also had steak and they were blown away as well. 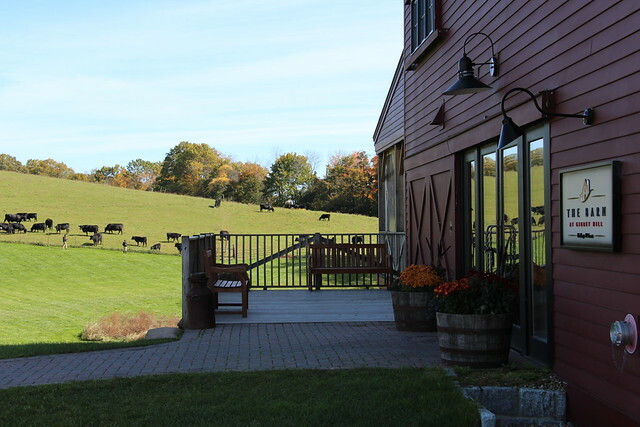 I still have mixed feelings about eating the beautiful cows that I often see driving by, but in the end, the cows at Gibbet Hill are delicious.